Sure, it’s a Foodie’s dream, housing the likes of Ashley Christensen, named by the James Beard Foundation as 2014 Best Chef: Southeast. I know there’s a burgeoning art scene, boosted by the presence of North Carolina Museum of Art. And yes, Greater Raleigh lists nearly two dozen breweries. The city supports innumerable collegiate and professional sports teams. I don’t need to be reminded that Raleigh has more music than any destination in North Carolina. Its citizens are open-minded, well-educated and community-centric. But if forced to make a choice between staying static and being dynamic, well, I’ll take a second helping of awesome, please. 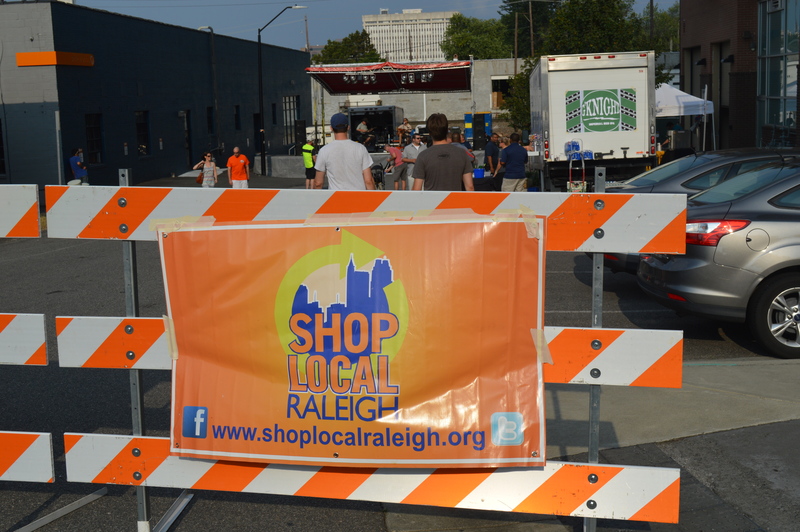 Enter Shop Local Raleigh, an organization designed to support locally-owned, independent businesses. 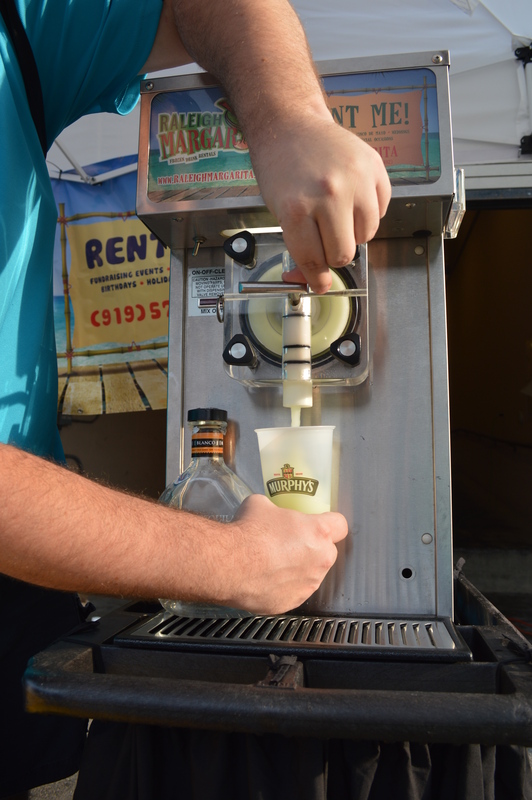 You may know them as the creators of Brewgaloo, one of the largest beer festivals in the Southeast. 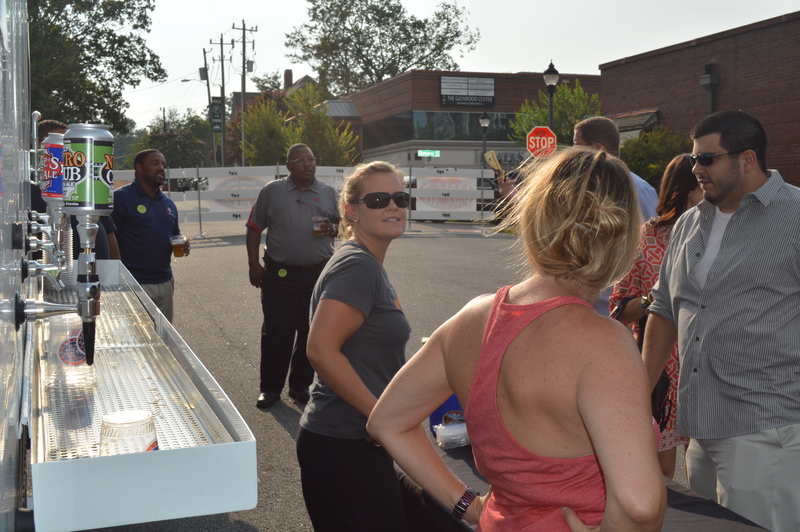 On their latest venture, they’ve focused on the continued revitalization of the Glenwood South district in downtown Raleigh by hosting Glenwood Live. Glenwood Live is a free, seven week concert series that began Thurs., Aug. 7, at the intersection of Glenwood Ave. and W. Lane St. Each Thurs. 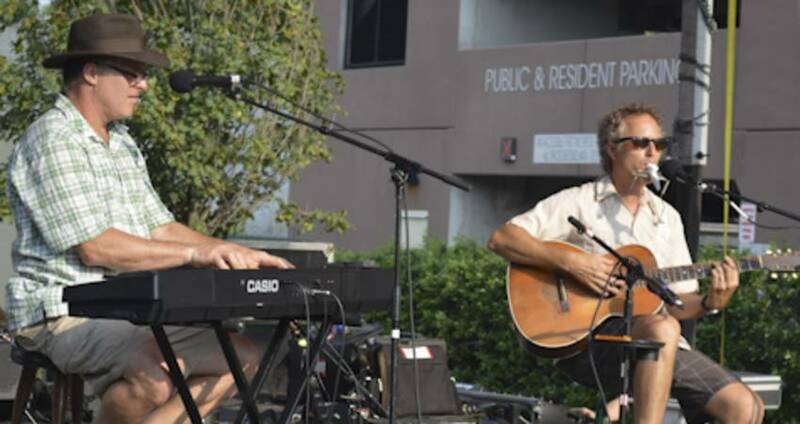 evening through Sept. 18, a local band will play an outdoor concert from 5:30-8:30pm. 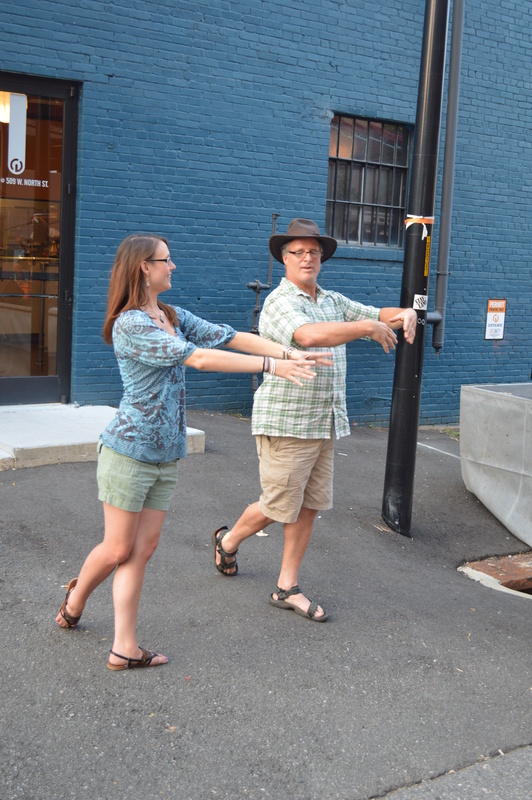 The event’s location changes each week, cycling through the Glenwood Ave. intersections of W. Lane St., Tucker St. and North St.
Glenwood Live encourages families (and pets) to chill and relax in the warm summer evenings. The series is sponsored by Oskar Blues Brewery, DeMo’s Pizza and Clear Channel Media & Entertainment, so of course there’s plenty of beer, wine, food and even margaritas. Beginning on Aug. 14, Right Time Kids joins the fun to offer face painting, balloon animals and other child-oriented activities so that everyone stays entertained. On the inaugural day of the series, acoustic duo Chapel Hill Serenaders took the stage, playing traditional music from the Southeastern U.S. The band, composed of singer and multi-instrumentalist Cary Moskovitz and fellow multi-instrumentalist Ed Witkin, focused on music dating mainly from 1923-1935. Moskovitz recently finished recording a tribute to Papa Charlie Jackson, who was the first blues musician to make records when he signed with Paramount Records in the early 1920s, and the setlist reflected this infatuation. Their selections included old standards in blues, ragtime, jazz and Hokum. Moskovitz stayed true to style by playing a 1930 Paramount banjo, a 1930 S.S. Stewart guitar made by Gibson and a 1950 Martin tenor guitar. He also employed a harmonica and kazoo. Witkin, who grew up playing the piano, brought the most interesting instrument of the two: a banjo he built himself while in high school in 1979. Let me reiterate–this event is FREE. Bring the family. Walk the dog. Explore the streets of Glenwood South. Need to eat? There are plenty of options, notably Plates, Sushi Blues, Sushi O and MoJoe’s Burger Joint. Want a beer? Natty Greene’s Pub & Brewing sits around the corner and a new bottle shop, Stag’s Head, just opened at 106 Glenwood Ave. Inspired by the music and looking to get back into playing guitar? Harry’s Guitar Shop will get you going. 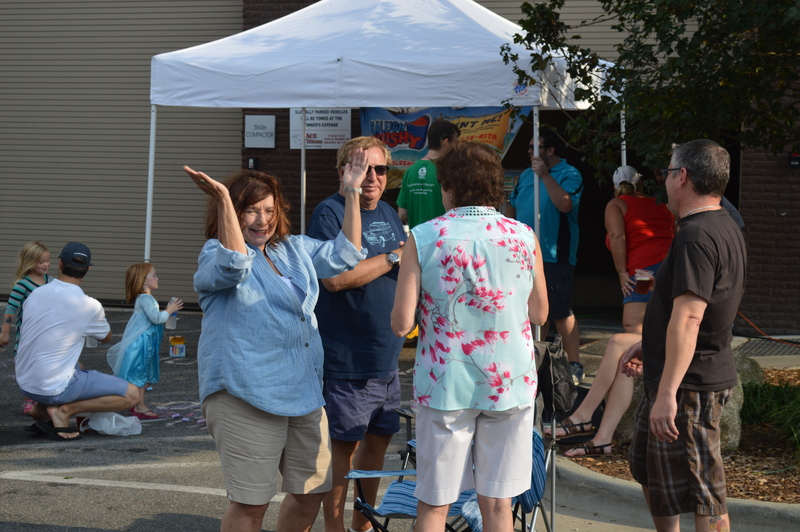 Embrace the growing scene on South Glenwood Ave. by checking out Glenwood Live. Visit the official website for the schedule and further information.